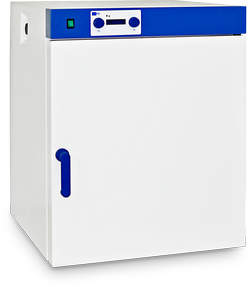 Dry-air incubators are designed to obtain and maintain a stable temperature required for conducting bacteriological, microbiological, sanitary-bacteriological, virological and biochemical research. Air UOSlab incubators PT series are distinguished for high reliability of operation. Incubators are equipped with a modern microprocessor temperature and time control system, trouble signaling. The chamber and shelves are made of stainless steel and the body is made of steel with polymeric covering.